i'm going to describe picture number 3, this is located in Singapore, a city with emergent economy, a nice place for business. 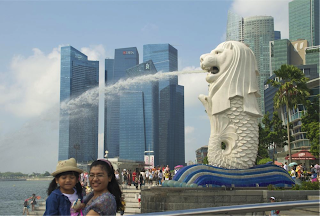 in the last years very immigrants go to Singapore to start a company or a service, it means, to be an entrepreneur. In the foreground we can see a mother with his daughter enjoying this beautiful country, but the way in the background we can see the luxurious of the city, sky scrapers a Fontaine, between other. 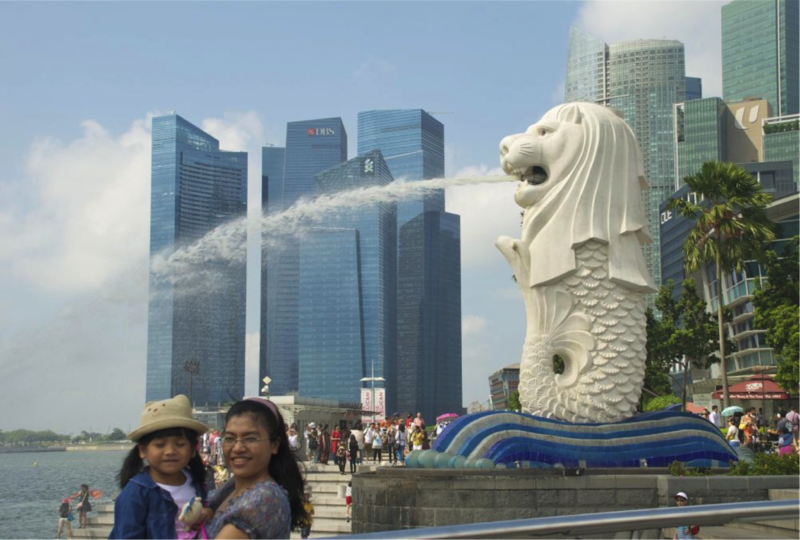 the caption tells us "i love being here, where everything seems new", this refers to the modernity of Singapore, as I said before, because is a pontencial economy country.